It’s supper time. The smells coming from the kitchen have been making your mouth water all day. Your family is seated around the table, bellies grumbling. You remove the lid from your slow cooker and your heart sinks. The moist and tender meal you’d been planning on serving has turned into a stringy mess. 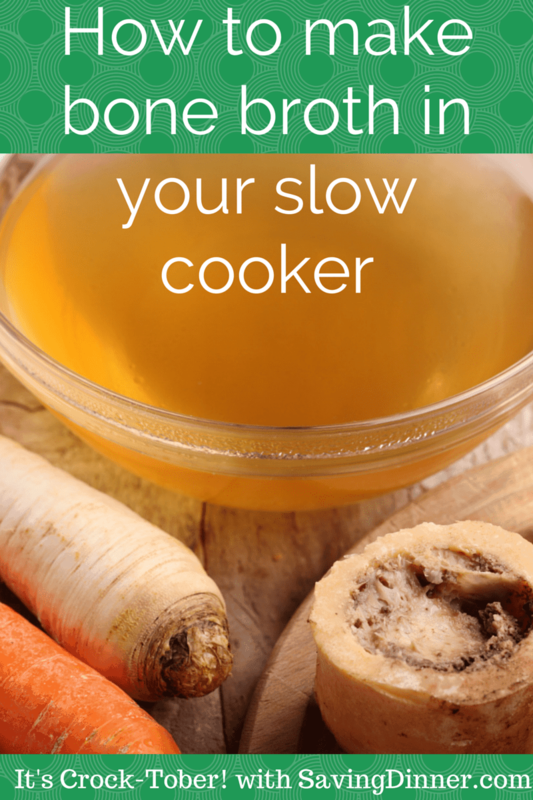 The slow cooker has ruined your meal! Or has it? Don’t blame the appliance! Chances are, you just didn’t choose the right cut of meat. Some cuts of meat simply can’t stand up to the long, steady heat of a slow cooker. 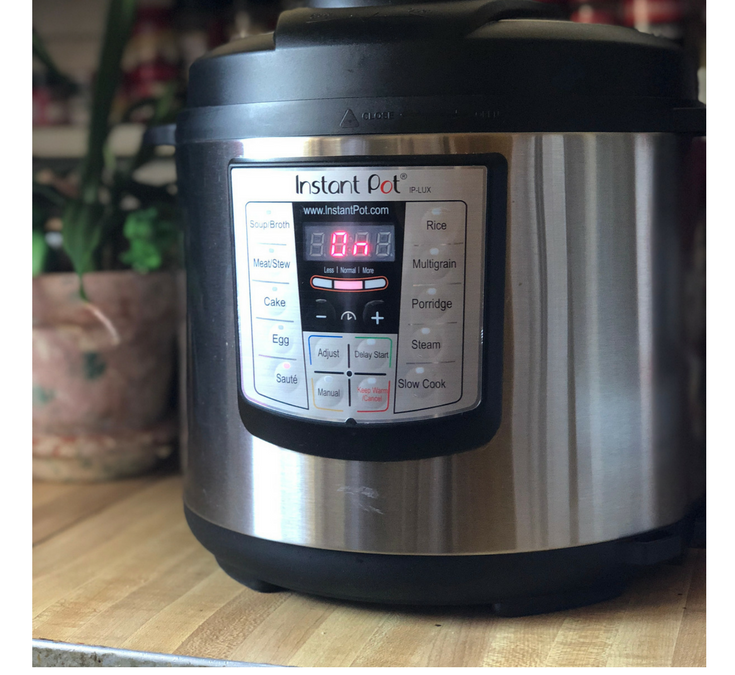 How do you know what meats are best for your slow cooker? Look for the less expensive, fattier cuts because lean cuts of meat can’t be cooked for long periods of time without getting stringy and tough. The least expensive cuts at the market have enough fat in them to keep the meat moist while the slow cooking breaks down the tissues for tender results. When you’re cooking beef, look for shanks, shoulders, rounds, and rumps. If it’s pork you’re cooking, you’re also looking for shanks and shoulders. 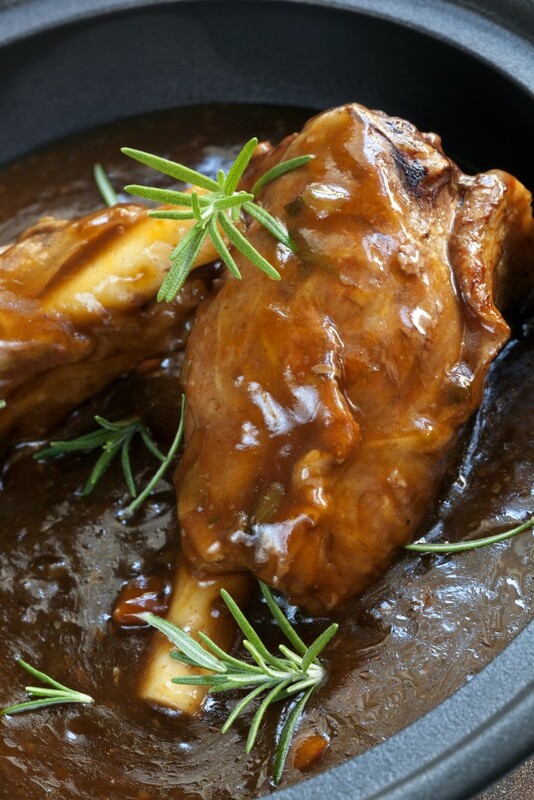 Few cuts of Lamb will hold up to slow cooking, except for the shanks. 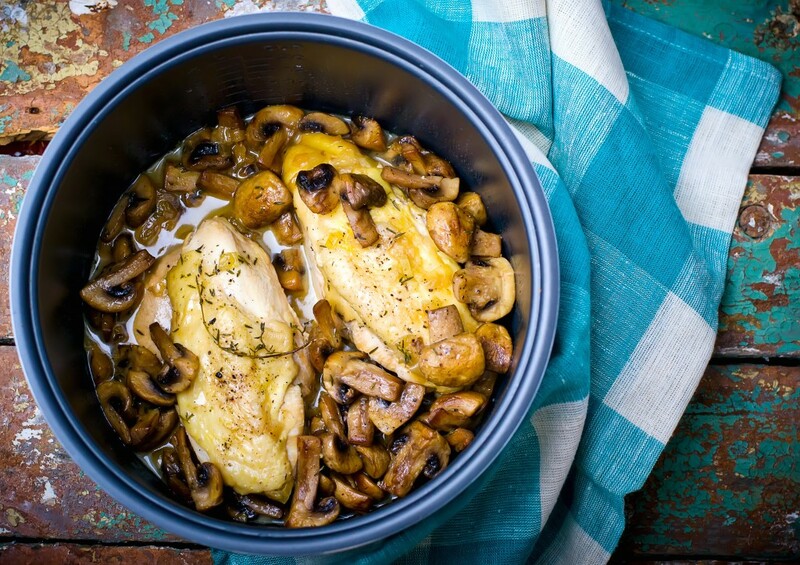 Bone-in chicken thighs and breasts are better for the slow cooker than boneless cuts are. Do re-move the skin before you put the chicken in the slow cooker because otherwise, you end up with rubbery skin and nobody wants that. As a final tip, remember to brown your meat first when you add it to the slow cooker for greatly improved flavor as a result. Except for chicken. 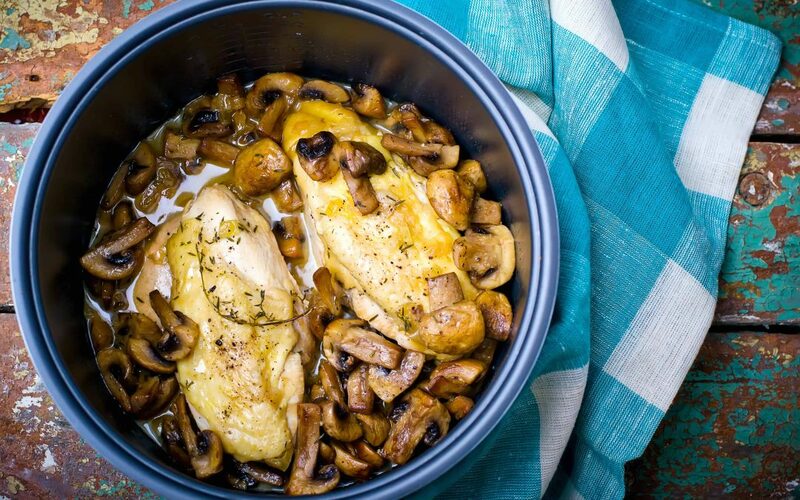 Chicken doesn’t need to be browned first. Doing so may actually cause you to overcook it. I almost always have a batch of bone broth simmering in my kitchen. This healing broth is more to me than soup. It’s a wonderful elixir that helps heal my gut and guards me from getting sick. If you have an autoimmune disorder (like I do), making bone broth a part of your regular daily life helps tremendously with energy levels and digestion, too. And by the way, I do not mean the cartons of broth you buy at the grocery store. 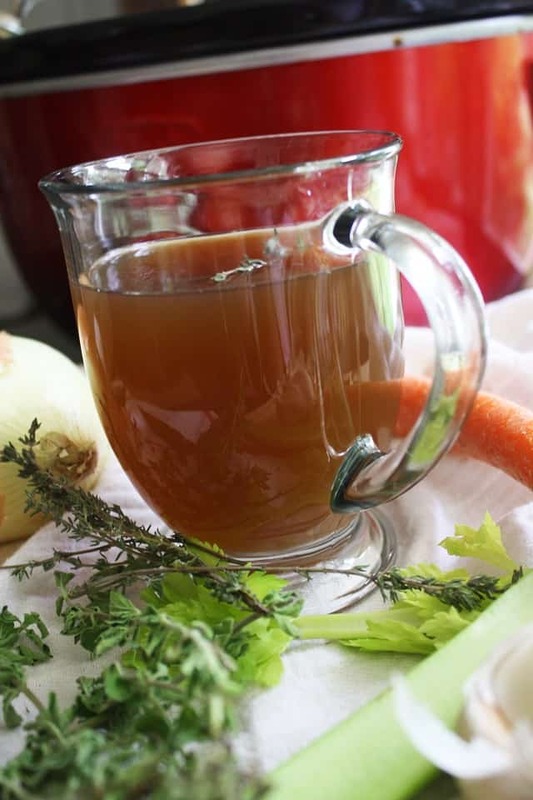 In order to have a good healing bone broth, you need to make your own. But I understand that’s easier said than done, so I’m here to take you through the entire process start to finish. First of all, let me remind you why you should be making bone broth a part of your day. Your bowl of bone broth contains a healing helping of glucosamine and chondroitin sulfate, which work together to reduce inflammation, joint pain and other symptoms of arthritis. Bone broth is excellent for digestion (it will do wonders for your gut), but it’ll also aid your nervous and immune systems and help your muscles grow and repair. That same broth will also give you a huge boost of minerals, including calcium, phosphorus, potassium and magnesium. It’s also rich in proline, glycine and amino acids. And did I neglect to mention that bone broth helps to prevent bone loss while building healthy hair, nails and skin? Now that you know why it’s so good for you, let’s get into the nitty gritty. Find yourself a very good butcher. You can use bones from any animal as long as it was a good, healthy one. I prefer locally sourced bones, organically grown if possible. At the very least, grass-fed. Do not use factory-farmed animals—they aren’t going to result in a nutritious broth. (Hint: If you can’t source good bones locally, buy bones online from US Wellness Meats). Keep in mind that the flavor will change based on the kind of animal you use, but it’s okay to mix your bones. And the absolute best bones are marrow bones. You want big bones like knuckles, which contain cartilage. That means more collagen, which means a healthier broth. For best flavor, start by roasting your bones. To do this, place the bones in a pan in a 350 degree oven and roast for one hour. Then move them to your slow cooker with some salt, pepper, onion, celery, carrots, herbs and a few cloves of garlic. Add a couple of tablespoons of apple cider vinegar so that the minerals and nutrients can be leeched from the bones. Cook on low for at least 8 hours for poultry, 12 for beef. I tend to go much longer, up to 72 hours. You’ll need to replace the water from time to time, so the crock cooker is filled almost to the top. When the broth has cooked as long as you need it to, strain the broth and let it sit in the fridge until the fat hardens on the surface. Spoon off the fat and in the morning, if you’ve done it just right, the broth should be good and gelatinized. What do you do with that healing elixir? Drink it from a mug like you would a cup of coffee. This is a great way to start the day! I also make soup from my broth, and I use it in recipes calling for stock. I aim to consume about 8 ounces of bone broth per day (more during flu season because of the immune boost it gives me), which really isn’t that difficult. You should use up your broth within 3 or 4 days. If you need longer than that, move it to the freezer. It will keep there for up to a year. Store some of your bone broth in an ice cube tray so you always have some on hand when your recipe calls for a little bit of stock! (2 cubes for recipes calling for 1/4 cup, 4 cubes to the 1/2 cup). Want more recipes? Click here. If there’s an avalanche of food spilling out of the freezer compartment of your refrigerator every time you open it, or if stuff is buried so deep in your chest freezer that you’ve stopped even trying to search for things, it’s time to get your freezer situation under control! • You’ll buy groceries you don’t need, forgetting that you have plenty of chicken buried in the freezer. • You’ll be more likely to have spoiled food on your hands because when your freezer isn’t organized properly, it doesn’t keep things at their optimal temperature and frozen food won’t last as long as it should. Your freezer is an essential tool and, like with any other tool, in order to get the most out of it, you need to use it properly. The best way to optimize the space in your freezer—whether you have a chest freezer, upright freezer or over-under fridge/freezer—is to freeze things flat. When you freeze pasta sauce, soup, ground meat, hamburger patties, fish fillets, sliced chicken or prepared-in-advance future dinners, freeze them flat in heavy-duty zipper bags. This way, you can stack those frozen items nice and neatly. Make it a habit to use a marker to jot down the name of the item and the date it’s been frozen on the front of each bag. Not only will more things fit in your freezer when flat, but they will also thaw much more quickly. Picture, for example, a bag stuffed with six chicken breasts all stuck together and a bag with those breasts laying flat in a single row. Which do you think will be easier to thaw? I do this with soup in single servings so that I don’t have to thaw out an entire batch of soup when I know I’ll just end up getting sick of it. Using single serving bags, frozen flat in the freezer, I can easily pop out the flavor I’m in the mood for and quickly thaw it in a bowl of cold water so it’s ready to be heated up for lunch or dinner. Keep an inventory log near the freezer with a list of items that are in there, crossing items off as you use them. This way, you’ll know when you have six servings of chicken soup on hand, when you’re out of pork chops or when you only have one roast left. 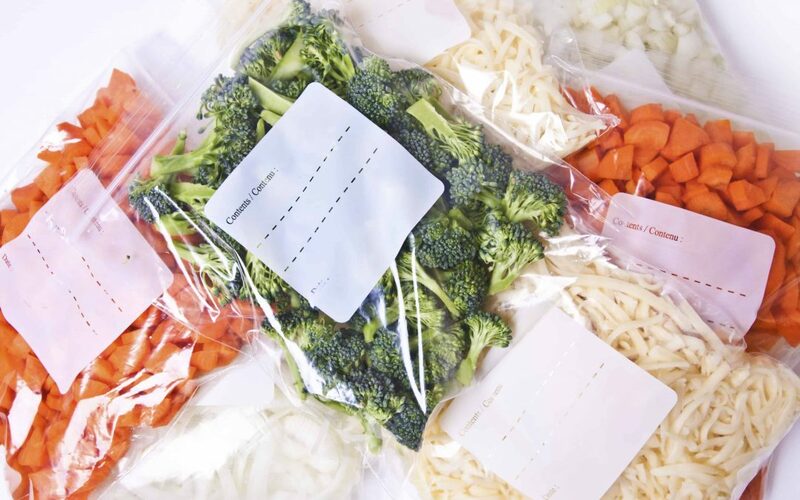 When your freezer is in control, you’ll also be much better equipped to plan meals using what you have on hand. Your freezer really can save your dinner! One of my favorite Saving Dinner product lines is our freezer menus. P.S. These freezer bundles are a hot hit! Click here and grab yours right now! Classic or Paleo, you choose! This creepy sounding stuff will fix what ails you! I realize that “bone broth” might not sound to you like the most appetizing thing in the world, but I can assure you that it is one of the most wonderful, healing substances you can put in your body. Bone broth is made simply by simmering animal bones in water with a bit of cider vinegar for anywhere from 36-72 hours. (I store my bones in zipper bags in the freezer, until I have enough for a batch of bone broth. I keep chicken bones separate from beef bones.) While the bones are simmering, all of the minerals in the bones are infused into the liquid with the help of that vinegar. 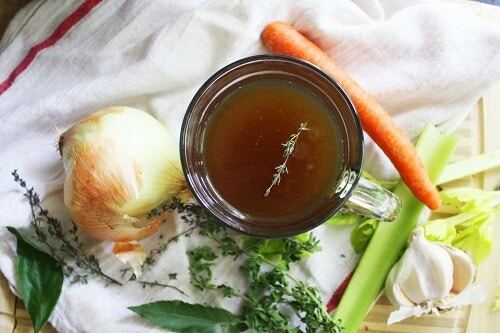 The broth you’re left with is a potent healing concoction that can improve your gut health, provide relief from joint pain and can give you stronger teeth and bones. It’s super easy to make bone broth. 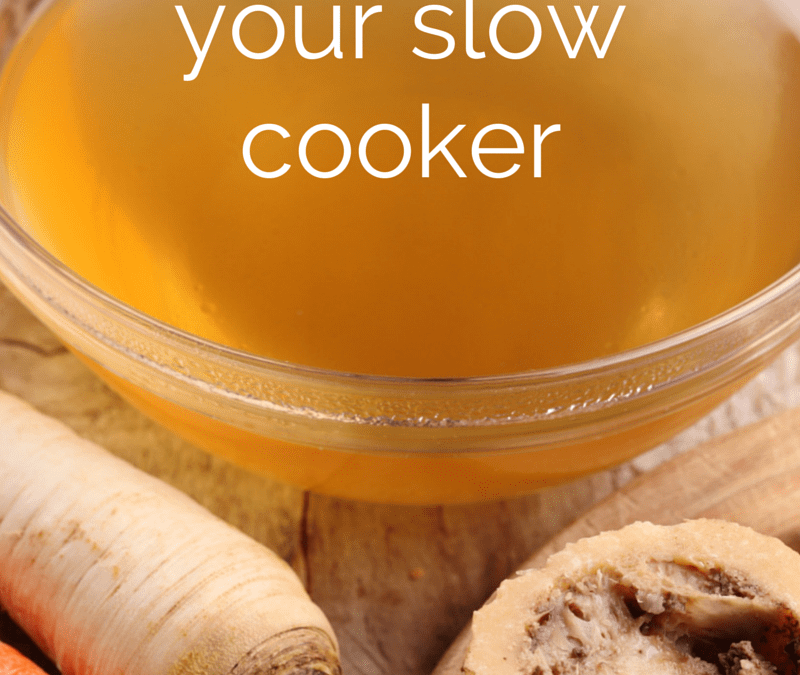 And if you employ the help of your slow cooker, you’ll make the job much easier on yourself. Put your bones (preferably they will be bones from grass fed animals) in the slow cooker with some onion, organic celery, carrots, herbs and a few cloves of garlic. Add a couple of tablespoons of apple cider vinegar to the works to help leech the minerals and nutrients out of the bones. Cook on low for up to 8 hours, but preferably for up to 72 hours (longer is better, that’s what I do). As the bone broth simmers, you may need to replace the water. Keep the water level at about 3/4 full. Strain the broth when you’ve cooked it as long as you’re going to. If you’ve done it just right with the chicken bones (not the beef ones as much), the broth will gelatinize when you refrigerate it overnight. This gelatin tells you the broth is so nutritious! One taste and you’ll see that our grandmothers really did have it right. Bones do make the best soup! Besides drinking it straight, I use bone broth in place of stock in all of my soup recipes. 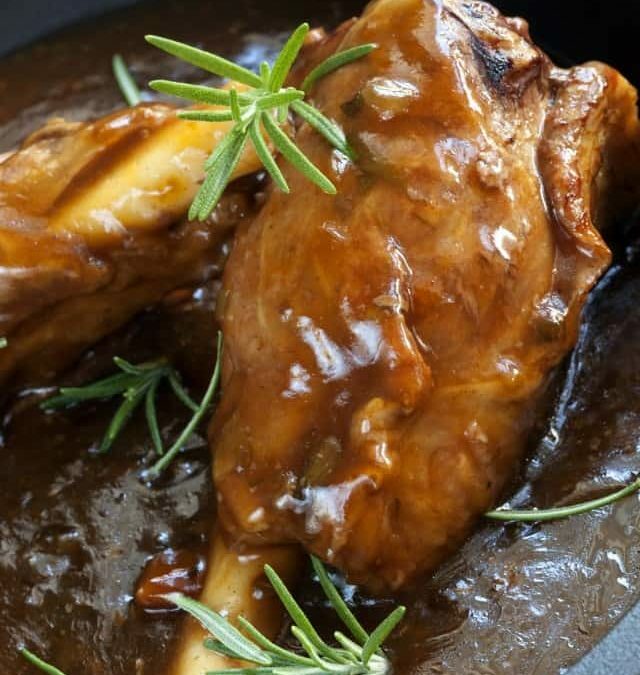 You can also use bone broth as a liquid for braising.